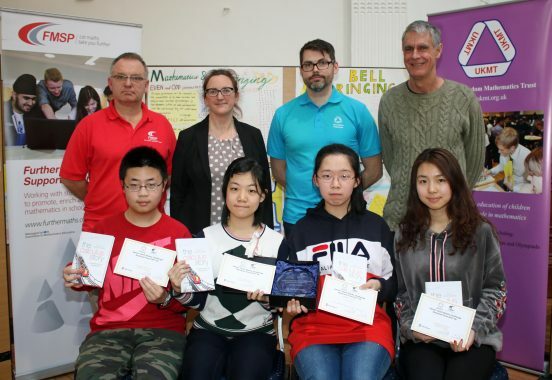 Mathematics – UK National Champions – AGAIN!!! 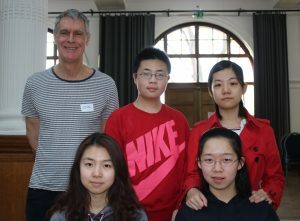 Our team of 4 students (pictured above: Rooney, Irene, Sabrina and Martina) travelled to London to compete in the UK Final of the Senior Mathematics Team Challenge. 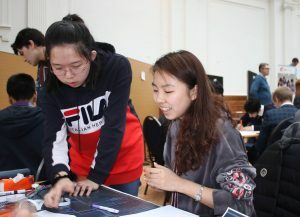 Having already won their Regional Heat in Chester last term, they were competing against all the top schools who had similarly won their regional rounds. Over 1000 schools take part in the competition, and it is a tremendous achievement to win this competition. This is the 3rd year that Ruthin School has won this prestigious mathematics competition. We retain our position, as the top school in the UK for Mathematics. Having won this competition, we will now create a new team of 7 students (adding 3 other outstanding mathematicians to our successful UK team) to travel to Italy, to represent the UK in the European mathematics Olympiad competition.